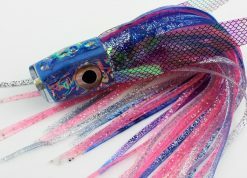 This is a 9” BFD Vixen Plunger with a unique gray insert and pearly white Dragon Skin. 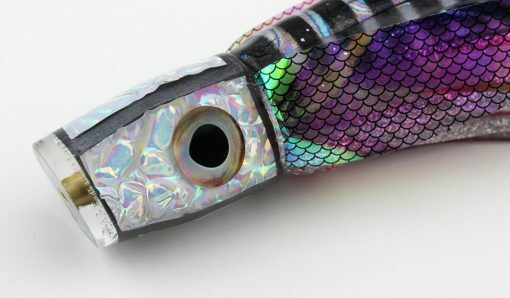 This is like a real Flying Fish on acid. 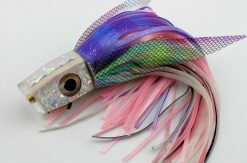 You can see in the photos that this color of Dragon Skin is just awesome with all the texture and color flashing white to pink on 3 sides of the head. 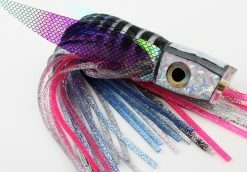 A strip of silver hologram on the belly adds some extra flash. 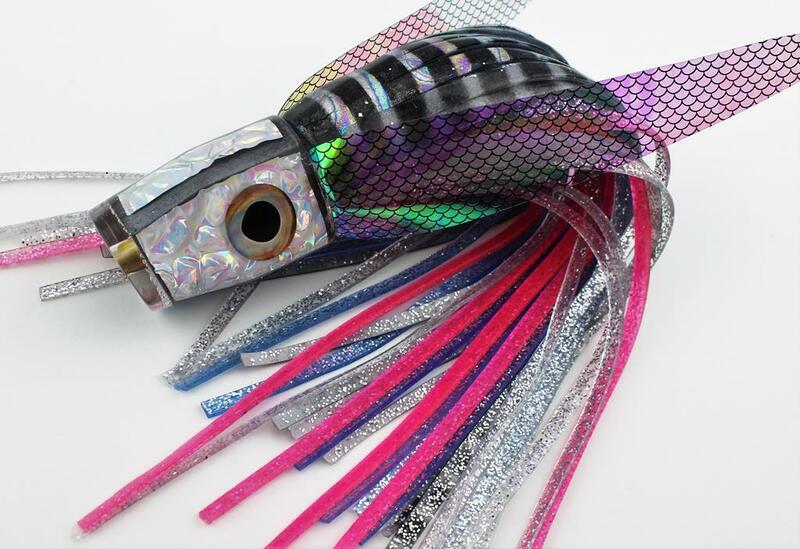 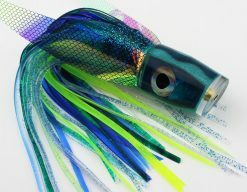 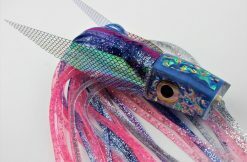 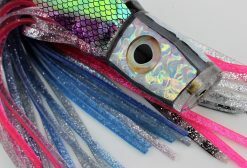 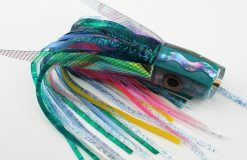 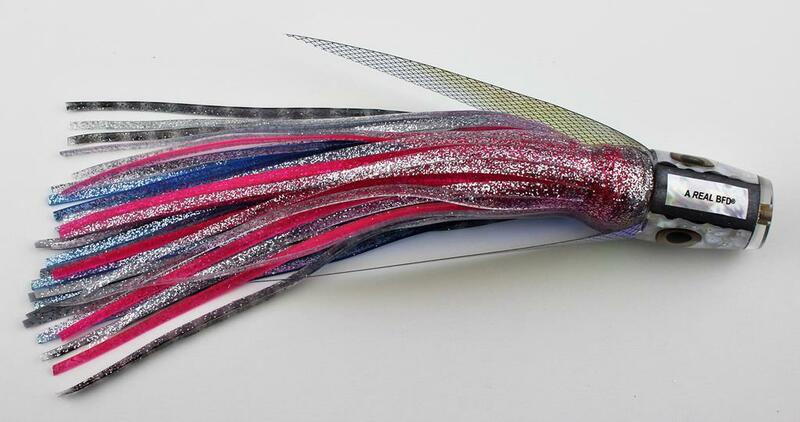 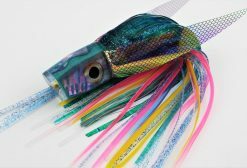 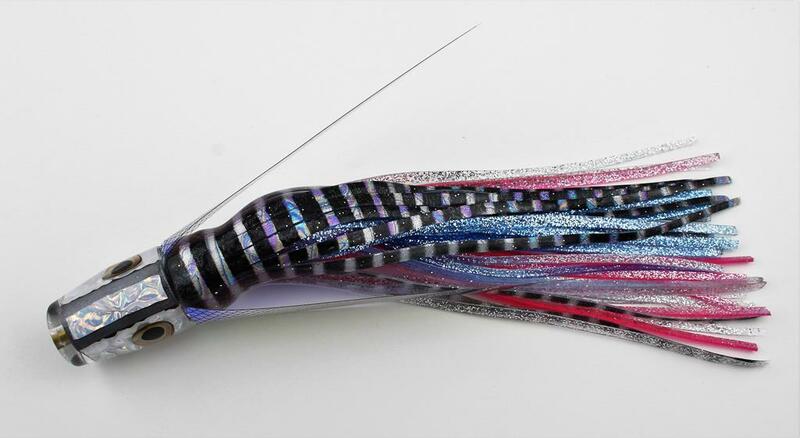 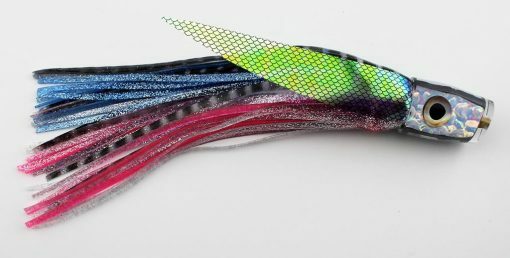 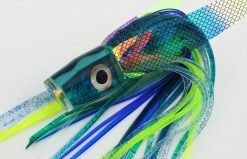 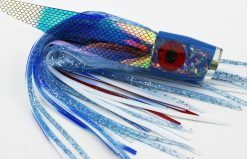 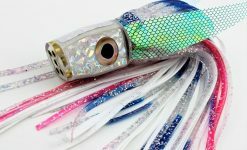 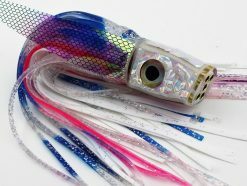 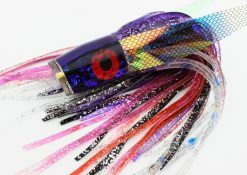 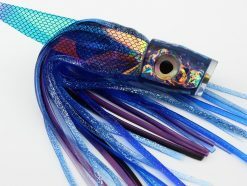 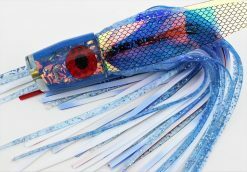 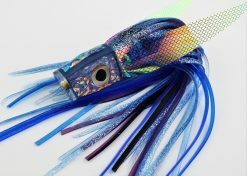 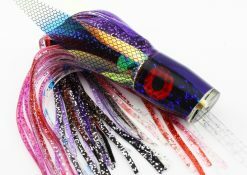 This lure also sports Real-Life Taxidermy Style fish eyes and a sweet silvery sardina style skirt combo along with shimmering WINGS!